I was sitting in a meeting recently with a group educators and we were talking about the impact of the new Common Core State Standards (CCSS) on early childhood. I mentioned that I had spent the summer on a state committee looking at our preschool language arts standards and making sure they are preparing a child for success in meeting the new standards when she attends kindergarten. Our committee discovered that our preschool standards were very strong in preparing a child for that success. We also discovered, however, that we did need to change some terminology and begin to help educators make that smooth transition from preschool to the CCSS in kindergarten. We also learned that it will be good practice to begin to talk more about fiction, non-fiction and the writing process, which in preschool is drawing and responding to stories and texts. The CCSS is a different direction, but in my opinion, a good direction. Through those standards we can help children delve more into the reading and writing process and more thoroughly understand the printed word. I hope early childhood educators will help children in this learning process and realize that remaining developmentally appropriate will help children be successful with these new standards. 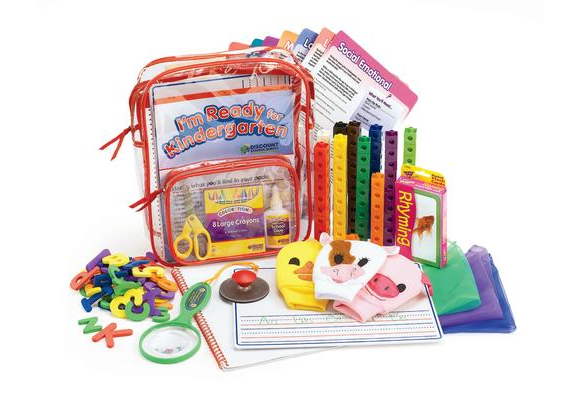 I have spent many years working on helping children be prepared for kindergarten. I have always thought that it was imperative that parents know what truly is important as their child moves into the foundation year of school. When I began teaching kindergarten approximately 25 years ago, many of the children in my class had never attended a preschool. I remember that I preferred that a child not even know how to write her name to having her arrive at school writing it incorrectly (all in capitals). I could teach a child to write her name correctly, but it was twice as difficult to un-teach a child with a learned bad habit. We know that there are critical preschool skills that are important for kindergarten success (being able to identify alphabet letters) and there are skills that are actually not so critical prior to beginning kindergarten (knowing letter sounds). I'm pleased that we completed an I'm Ready for Kindergarten backpack this year. It contains parent-friendly activities that zero in on skills that will be critical for kindergarten success. It is my hope that it will assist parents and preschool workers in preparing our young ones for what I consider their most important beginning. I have two grandchildren who started kindergarten this year. They have had lots of support along the way and I feel confident they are ready for this big step. I wish I could help every kindergartner be that prepared.